What a great forum guys, so helpful and friendly; But let me get straight to the point so here goes. 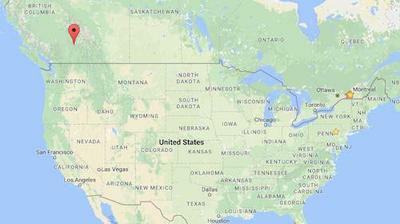 My family and I are about to embark on a great adventure to live in Canada, emigrating from the UK. 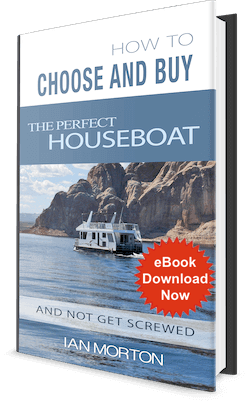 We have played around with a few ideas of getting the best out of our initial settlement and have at this point concluded that purchasing a used houseboat to reside in while we get to grips with our move may be the best financial option. I'm not a spring chicken and whilst I'm prepared for the challenge, I tend to err on the side of caution so before I make my final decision and go for the boat ads I'd like to ask anyone who is familiar with the BC Shuswap lake area about it. The cost of a mooring and availability and any other regular costs (other than fuel and maintenance) which might spring up? Is the availability in any moorings to leave a truck safely and accessible for daily use? What's the cost of an average survey (before I buy)? OK, OK, I'm gonna get the ebook but, will it give me those answers? Living on a houseboat is a challenge I know, but that's the appeal in the first place!!! Welcome Steve, and thanks of posting to the houseboat forums. Life is like a book, and sometimes we have to start a "new chapter", so good luck in your new endeavor. From what I know, there are folks that are houseboating all year long in BC, but let's be honest, the winters do get cold and will require some preparation. It is definitely doable, but choosing the right boat will make things easier. If you decide to go the route of a mooring ball, it is definitely the cheapest, but I don't think it is your best option. I would recommend you get a dock with power & water(most of the year), and this way you can have the convenience of electrical power, and also use some of the marina's clubhouse facilities. Lastly, hopefully some of our readers and visitors will share and post comments about their SHUSWAP houseboating related experiences and tips. Ian has a very valid point re: year round live-aboard. Make sure you and your boat are ready for the cold. Check out the recent weather stats for that area.